Dr Yassin Noman joined the National Liberation Front (NLF), which later became the Yemeni Socialist Party when he was 17 years old. In 1986 he became the Prime Minister of the People's Democratic Republic of Yemen (PDRY). He remained in this post utiil the unification of Yemen in 1990. Dr Noman had previously been Minister of Fisheries and Deputy Prime Minister of the PDRY. After unification in 1990, Dr Noman became the interim Speaker of Parliament, until the general election of 1993. He became the General Secretary of the Yemeni Socialist Party in 2005, a post which he held until 2014. Michael Aro n was appointed as Her Majesty’s Ambassador to Yemen in February 2018. Prior to this he was Her Majesty’s Ambassador to Sudan from 2015 to 2018. Michael has extensive experience representing the UK in the Middle East, with previous postings as the British Ambassador to Libya (2012–15) and to Iraq (2011–12) and to Kuwait (2008–9). He was also the Head of Middle East department at Foreign & Commonwealth Office from 2010 to 2011. 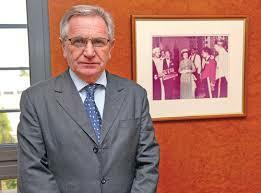 Noel Brehony is a former diplomat. He is currently serving for the second time as Chairman of the British–Yemeni Society, his first term having lasted from 2010 to 2015. He is chairman of Menas Associates and the author of a book on the politics and history of South Yemen entitled Yemen Divided: The Story of a Failed State in South Arabia (I.B. Tauris, 2011 & 2013). Noel was a Research Associate at the London Middle East Institute at SOAS from 2008 to 2011 and is a member of its Advisory Council. 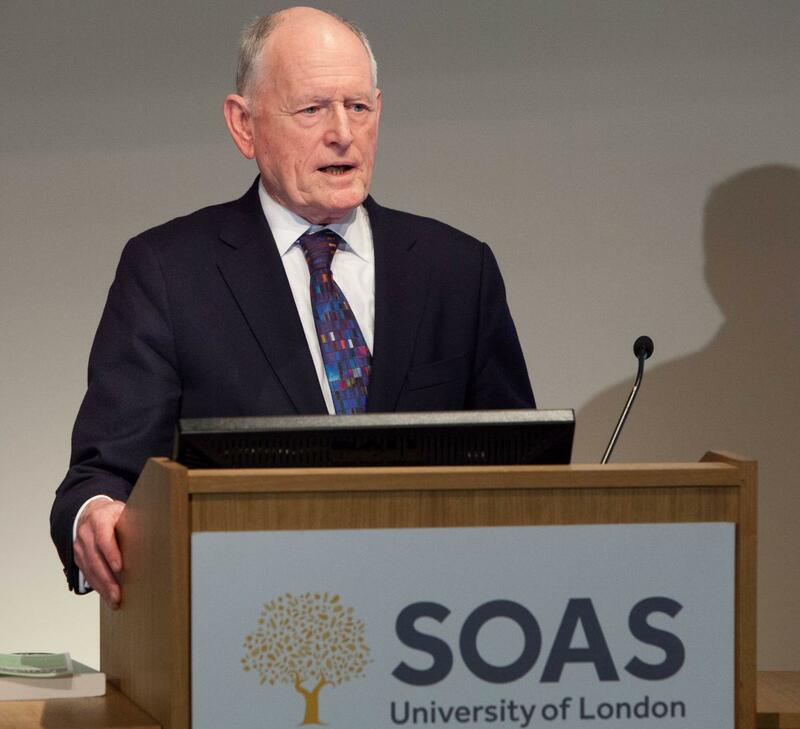 He is also past President of the British Society for Middle East Studies and past chairman of the Middle East Association and the Council for British Research in the Levant. He has edited a volume on Hadhramaut under the title: Hadhramaut and its Diaspora: Yemeni Politics, Identity and Migration (I.B. Tauris, 2017) and co-edited British-Egyptian Relations from Suez to the Present Day (Saqi & LMEI, 2007) and Rebuilding Yemen: Political, Economic and Social Challenges (Gerlach, 2015). Cambridge Law degree. Joined Shell Group in 1958; studied Arabic at MECAS in Lebanon. Posted to Sudan, then to Shell’s new oil exploration venture in Oman as desert Liaison Representative for 3 years 1961–63. Back in Shell London joined the embryonic natural gas trading organisation; inducted into the gas business in southern USA; posted to New Zealand to sell Maui offshore gas; then 3 years as Shell’s Natural Gas Representative in Japan where Shell LNG from Brunei was being imported by public utilities. Returning to Arabia, negotiated Shell involvement in a natural gas liquids joint venture in Abu Dhabi; then appointed Shell Representative in Abu Dhabi for 5 years 1981–86. Back in London, looked after Shell business in countries in francophone Africa. Finally appointed Shell Representative in Sana’a, YAR. Retired from Shell in 1990. Post retirement, worked with archaeologists in the UAE, was secretary of the London Beekeepers Association and became involved in setting up the British–Yemeni Society in 1992–93 as its first secretary. I was born in Melbourne, Australia, and first visited Aden in 1963, and again in 1964. I married Philip Allfree in 1965 and spent time flying over Hadhramaut en route to al-Mukalla. I became interested in Yemen as a result of my husband’s role as a Political Officer in the East Aden Protectorate, culminating in his book Hawks of the Hadhramaut (Robert Hale, 2013). We returned to the UK after one year in Nakuru, Kenya. Philip joined the Foreign & Commonwealth Office in 1969 with various Middle East postings to Amman and Beirut. We were then posted to the British Embassy in Sana’a in 1978-79. During that time we travelled widely in the Yemen Arab Republic. As a result of my legal secretarial training I worked in Sana’a for the late Dr Hussein al-Hubeishi, the then President’s Legal Adviser. I spent seventeen years with a large Westminster law firm, Winckworth Sherwood, as legal secretary. I have spent the last five years doing occasional voluntary work with the Personal Support Unit, at Wandsworth County Court. As a result of my travels in the Middle East, and Yemen in particular, I have an abiding interest in Yemen and its people. Boris will start to take over secretarial duties for the committee and in the course of 2019 take an increasing range of tasks from Audrey with the aim of taking on the full role of B-YS Secretary shortly. Robert deals with membership enquiries and applications. Muhammad Bin-Dohry has been a long-standing member of the Society, Chair of the Board of Trustees of the Hadhramaut Research Centre (HRC) and one of the founders of the Hadhramaut International Schools in al-Mukalla. He is an active member of the worldwide Hadhrami Diaspora and maintains the Hadhrami Diaspora website which covers a significant array of topics relevant to his fellow Hadhramis. Mr Bin-Dohry prepares regular reports on the current political, social and economic situation both in the Hadhramaut and Yemen. For more than a decade he has been collaborating with a number of international organisations, charitable institutions and diasporic communities in order to facilitate the delivery of humanitarian and medical aid as well as educational scholarships to Yemenis. 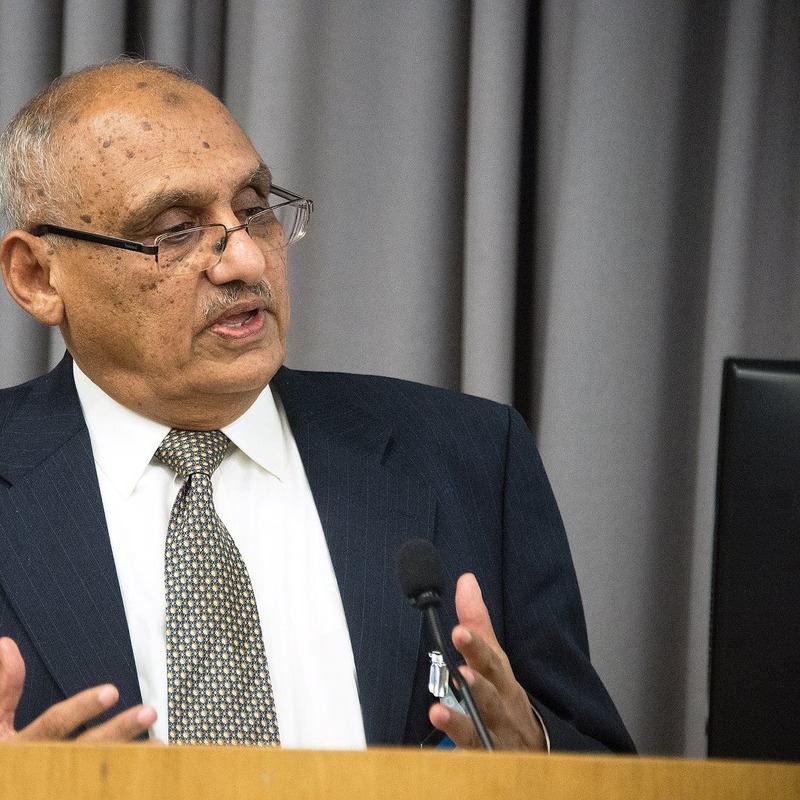 In 2015 he convened the Rediscovering Hadhramaut: Paradigms of Research Conference at SOAS, University of London which, because of his efforts, led to the publication of the edited volume Hadhramaut and its Diaspora: Yemeni Politics, Identity and Migration (I.B. Tauris, 2017). James graduated from Cambridge University with an MA in Social and Political Science, and later gained an MSc with distinction at the London Business School. His early career focused on the development challenges of the poorest countries of the Middle East and Sahelian Africa. He was Director of the CIIR (now Progressio) Programme in Yemen and Somalia from 1976 to 1980, and throughout the 1980s was War on Want Programme Director for the Middle East and the Sahel. A five year spell as Director General of Consumers International in the early 1990s was followed by a period as Senior Consultant at Gemini Consulting. This led to extensive consulting and advisory work initially in the energy sector addressing its sustainability challenges, not least climate change. 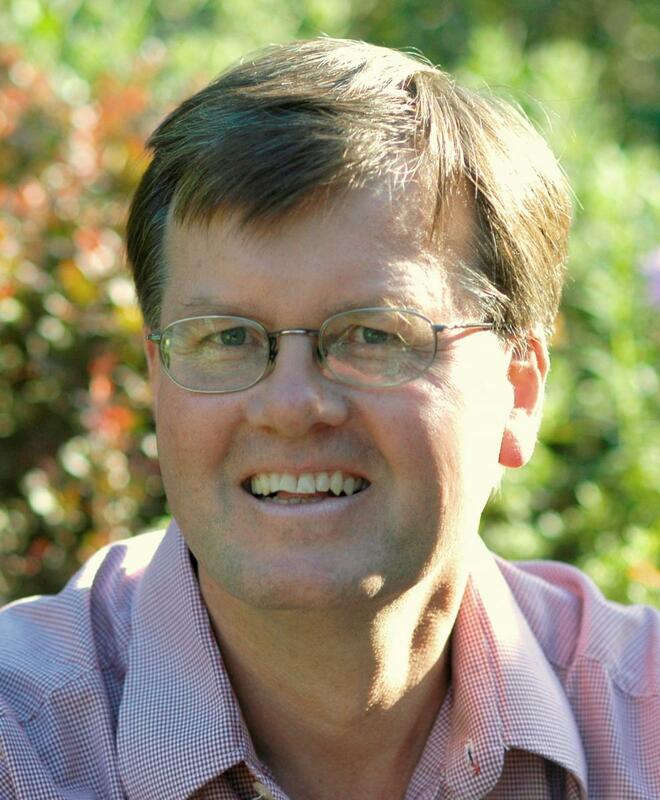 James set up James Firebrace Associates Ltd (JFA) in 1998, with a focus on the analysis and management of the interconnected strategic issues of water, economic revitalisation, sustainable livelihoods and conflict prevention. This has taken him back to Yemen where since 2005 JFA has been active in a number of capacities. These have included Senior Adviser on Social and Environmental Issues to YLNG during the construction and compensation phase, and with the UN designing a coastal livelihoods programme involving pilots on the Red Sea and Gulf of Aden. Most recently James has coordinated the UK-funded research programme assessing and proposing solutions for the future of the city of Taiz, facing extreme water scarcity, severe constraints on industrial investment and job creation, and conflict with its hinterland. This latter work raises issues fundamental to the future wellbeing of Yemen, and is summarised in Rebuilding Yemen: Political, Economic and Social Challenges (Gerlach, 2015). Dr Noel Guckian CVO OBE is a former British Ambassador to the Sultanate of Oman (2005–11), with thirty-two years' experience in the Middle East in the British Foreign Service. 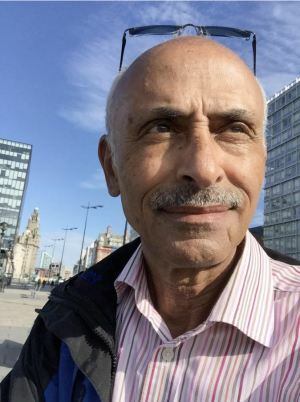 He has been involved in both parts of Yemen at the academic level and was recruited into the FCO Research Department to cover the Arabian Peninsula including the YAR and PDRY in 1979. He studied Arabic in Yemen in 1983, and visited both parts from his first posting in Jeddah. He previously held three Head of Post positions including twice acting as Head of British Interests in the Italian Embassy in Libya and once as the first Consul-General in Northern Iraq. He currently works as an adviser primarily on the Middle East and Africa region for a number of British private sector companies and Universities. Dr Guckian holds a BA in History, a MSc.Econ in International Politics and a PhD with specialisations in Yemen and Jordan. He was also an Honorary Fellow at Durham University in the School of Government and International Affairs in 2011-2013, with whom he retains continuing links. Martin Jerrett was United Nations senior political affairs officer for two years, advising both Jamal Benomar and later, his successor, Ismail Ould Chaikh Ahmed, on southern Yemen. He has had an interest in Yemen since 2008, when he was involved in a tribal mapping project. Later he worked for the Danish Demining Group, focused on the conflict areas of Abyan and Lahij. Martin worked for five years as an adviser with the Ministry of Defence, based initially in Baghdad from 2003 before moving to CentCom in Qatar. He learned his Arabic at Birzeit University in Palestine where he visits regularly to indulge his interests in archaeology and hill walking. Taher was born and grew up in Yemen and studied in Sweden and the UK. He is currently a full time Public Health Neighbourhood Manager with Liverpool Primary Care Trust and has been involved in community development locally, regionally and internationally over the last 25 years. Part of this work was in different countries in the Middle East and Africa. Taher was one of the founders of the Liverpool Arabic Centre and has been involved as a trustee since 1995. He is also the Chair of the Liverpool Black and other Racial Minorities (BRM) Network, Liverpool BRM Education sub-group, Liverpool Arabic Arts Festival (LAAF) and a Board member of the Bluecoat Arts Centre. Mr. Dirhem Abdo Saeed has over 30 years’ commercial experience. 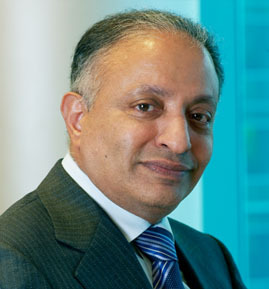 He is currently the Vice Chairman of Hayel Saeed Anam Group, Managing Director of Longulf Trading (UK) Ltd, the Chairman of Cepac Ltd, and a Board member of the Tadhamon International Islamic Bank. He was previously General Manager of the Yemen Company for Industry & Commerce, and General Manager of the National Food & Dairy Industry. Mr. Dirhem Saeed holds an MBA from Oklahoma City University, USA and a Finance & Accounting degree from Cairo University, Egypt. 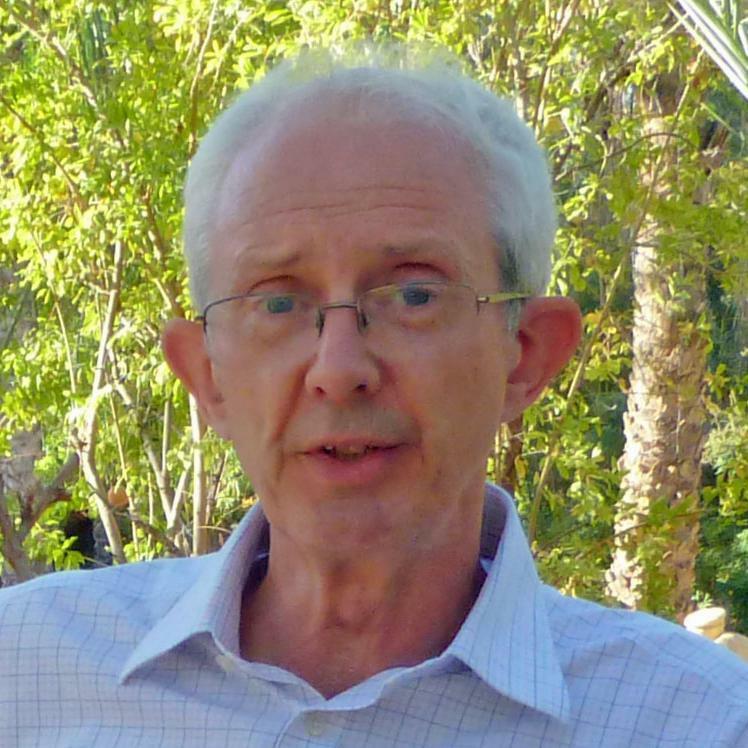 Robert’s first stay in Yemen began in 1972 when, as a student of Arabic and Islamic Studies at Cambridge, he took a year out from his university studies to teach English and learn spoken Arabic in the small mountain town of Hajjah. After finishing his BA, he started work on a PhD on the same area of north-west Yemen, and shortly thereafter secured a five-year contract position as assistant lecturer in Arabic and Islamic Studies. Between terms he made a number of extended visits to Yemen, travelling widely in the western mountains and central highlands on foot, by donkey, or on a motorbike. At the end of his teaching contract, he was offered a position in the Foreign Office’s Research Department, to work on Yemen and the Arabian Peninsula. By the time he actually started his work there, things had moved on, and for much of his 32-year career with the FCO he was occupied mainly with Libya and Iraq (including postings in both countries). Other postings took him and his family to the UAE and Bahrain. Finally, in 2012, he was offered a posting to the British Embassy in Sanaʿa where he spent two years, until his retirement from the FCO in 2014. The fruits of his thesis and subsequent research were published in his Gazetteer of Historical North-West Yemen (Georg Olms, 1989). Robert served as chairman of the Society for a three-year term during 2015–18. Dr Nasher has an English educational background but his strong passion and loyalty to his home country lead him to return to Yemen in 1984. Following his return, he took up successive surgical and teaching appointments in Yemen. In 1994 he became professor and Chief of the Surgical Department in the Faculty of Medicine, Sana'a University. Three years later he was appointed Minister of Public Health, and served from 1997 to 2001. In 1998, he supervised the designing of the Health Sector Reform Strategy for Yemen. In 2000 he was awarded an honorary Doctor of Medicine by the University of Southampton for his reform strategy and his outstanding work in the Ministry of Health. In 2001–2003 he became a member of Yemen Shura Council as well as Chairman of the International Bank of Yemen. Ambassador Nasher is also an Honorary Vice-President of the British–Yemeni Society and was Chairman of the Yemeni–British Friendship Association from 1992 until 2003. Over the years Dr Nasher has published numerous scientific research papers, primarily in British medical journals. In 2000, he published a book entitled, Health Care in Least Developed Countries: The Experience of Yemen. From November 2003 to November 2008 Dr Nasher served as Ambassador of the Republic of Yemen to Canada. In 2009, Dr Nasher retired and moved with his family to live in Canada. 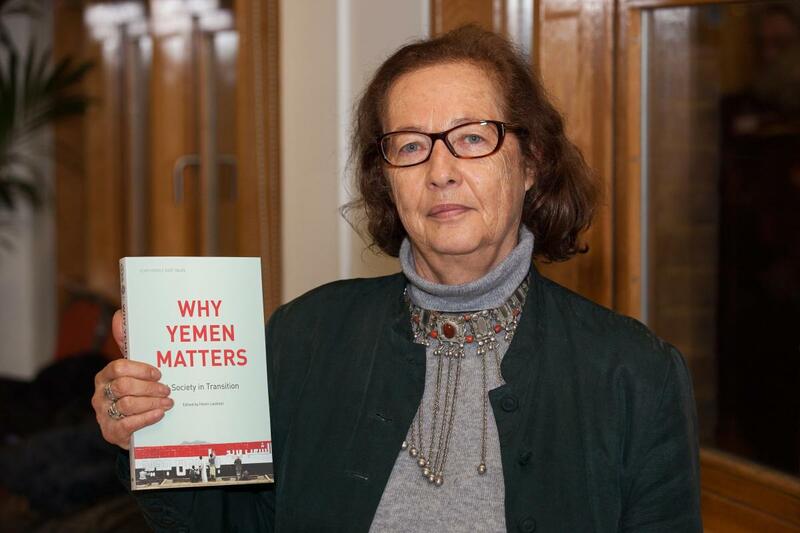 Helen Lackner has been involved with Yemen since 1973. She lived and worked in rural development in the People's Democratic Republic of Yemen from 1977 to 1982 and in the Yemen Arab Republic during the 1980s. Since unification she has worked throughout the country, including being based for two years in the Hadramaut. Her first book was A House Built on Sand: A Political Economy of Saudi Arabia (Ithaca Press, 1978). She is the author of PDRY: Outpost of Socialist Development in Arabia (Ithaca Press, 1985), she co-edited Yemen into the Twenty-First Century: Continuity and Change (Ithaca Press, 2007), and edited the BYS book Why Yemen Matters: A Society in Transition (Saqi, 2014). Among others, she has recently contributed chapters on Yemen to books about civil resistance during the 2011 uprisings and the impact of climate change on security. She has written "The Yemeni Transition from Saleh's Autocratic Rule: Could it have Succeded? (IDEA, 2015) and is currently working on a book designed to improve understanding of the current crisis. She is particularly interested in water management and the relationship between political change and social and economic development. After about 30 years as a consultant in social aspects of development, with a particular focus on rural development working in over 30 countries in the Middle East, Africa and Asia, Helen Lackner is refocusing her work towards a deeper involvement as an analyst and author, though she maintains some direct involvement in development issues. Her current priority is to pass on the knowledge gained from her long experience to a new generation. She is based in Oxford.